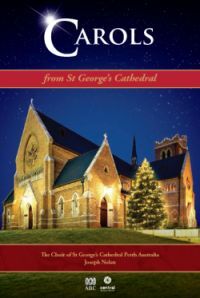 Recorded by the ABC in September 2013, the DVD features the full Cathedral Choir and Consort in the Chancel, and a semi-chorus group in the Soldiers’ Chapel. The Cathedral was lit specially for the occasion, decorated with seasonal flowers, and the beauty of the building comes across warmly in this sensitively-edited HD-format production. The sound-engineering reveals the immaculate clarity of the choral works, both new and old. Traditional congregational carols such as Once in Royal David’s City and O come all ye faithful are matched with challenging 20th and 21st century repertoire including Kenneth Leighton’s Lully Lulla and the 2012Paula & David Tunley Composition Competition winner Christus Natus Est by Perth’s own Perry Joyce. Works by popular composers from very different epochs of choral music, Gardner and Handel, complement arrangements of traditional carols by Rutter and Ledger. 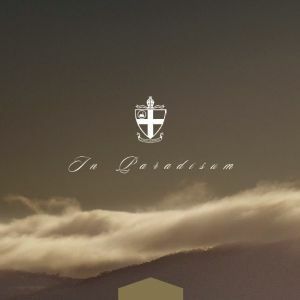 Morten Lauridsen’s hauntingly beautiful O Magnum Mysterium is perhaps the highlight of the choral recordings, and the performance of the Dupré Variations sur un Noël by Joseph Nolan (internationally recognized for his interpretation of the French organ repertoire) reveals the subtle versatility of the West Organ. Available at St George’s Cathedral Shop. Two tracks from the DVD can be heard on YouTube: Leighton’s Lully Lulla and Howell’s A Spotless Rose. 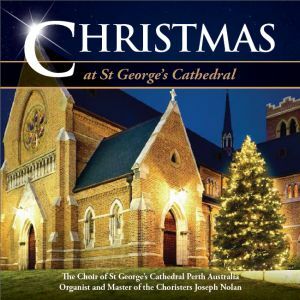 A selection of Christmas carols, including the world premiere recording of Christus Natus Est by Perry Joyce (winner of The Paula and David Tunley Composition Award 2012). Featuring the stunning Mass for Double Choir of Frank Martin and the Requiem by Maurice Duruflé. Selected tracks from the CD can be heard on YouTube here and here. 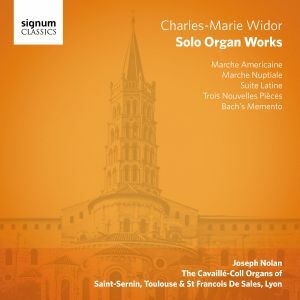 Joseph Nolan follows his five internationally acclaimed volumes of the Complete Organ Symphonies of Charles-Marie Widor with a collection of the composer’s other works for solo organ. 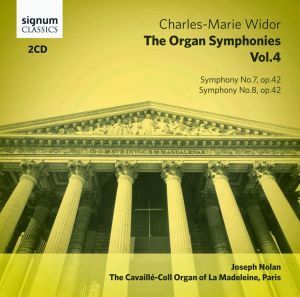 The disc includes his Trois Nouvelles Pieces, March Amèricaine, Marche Nuptiale, and Memento – a collection of transcriptions of works by J.S. Bach. 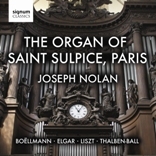 Volume V of Joseph Nolan’s complete Widor symphonies, recorded for Signum Classics in May 2011 on the organ of La Madeleine in Paris. This volume contains the Ninth and Tenth Symphonies. Available at St George’s Cathedral Shop and quality music stores. 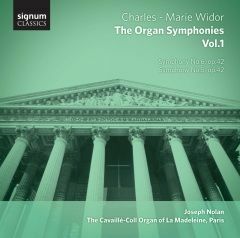 Volume IV of Joseph Nolan’s complete Widor symphonies, recorded for Signum Classics in May 2011 on the organ of La Madeleine in Paris. This volume contains the Seventh and Eighth Symphonies. 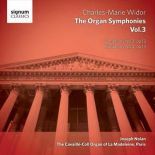 Volume III of Joseph Nolan’s complete Widor symphonies, recorded for Signum Classics in May 2011 on the organ of La Madeleine in Paris. This volume contains the Third and Fourth Symphonies. Volume II of Joseph Nolan’s complete Widor symphonies, recorded for Signum Classics in May 2011 on the organ of La Madeleine in Paris. This volume contains the First and Second Symphonies. Volume I of Joseph Nolan’s complete Widor symphonies, recorded for Signum Classics in May 2011 on the organ of La Madeleine in Paris. This volume contains the Fifth and Sixth Symphonies. The Organ of Saint Sulpice is widely considered to be a prime example of the pinnacle of 19th-Century French organ building. 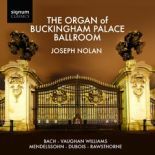 In this recording, on the Signum Classics label, Joseph Nolan expertly demonstrates the full capabilities of this mighty organ with a programme of Romantic organ music, performing favourite works by Boëllmann, Elgar, Liszt and Thalben-Ball. Featuring music by Bach, Vaughan Williams, Mendelssohn, Dubois, and Rawsthorne. 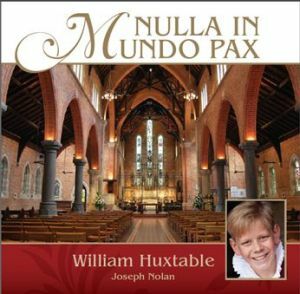 Cathedral Chorister William Huxtable, accompanied by Joseph Nolan, sings a selection of the finest and best-loved works written for the treble voice, including music of Vivaldi, Handel, Franck, Fauré, Rutter, and Lloyd Webber. Two of the tracks feature William in duet with celebrated soprano Sara Macliver.